Television stars in all genres are bringing home huge cheques. How much do your favourite stars take home per episode? 1. How much money does Claire Foy earn on Stranger Things? 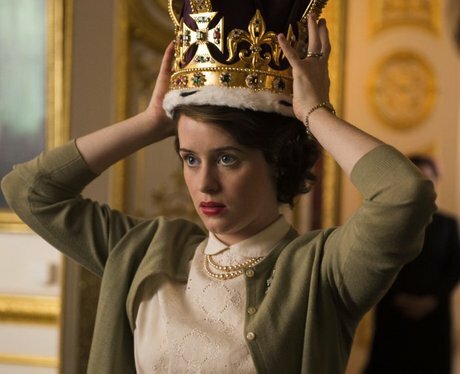 It's been reported that Claire Foy reportedly earns $40,000 per episode on The Crown. It was also revealed in a panel discussion with the producers on the show, that Matt Smith earned considerably more than Claire Foy, the lead actress and face of the show. The reasoning at the time was due to Smith's prominence: he was an international figure thanks to "Doctor Who", while Foy was relatively unknown to viewers outside the UK. Season 3 will reportedly have equal pay. 2. How much money does Millie Bobby Brown earn on Stranger Things? Millie Bobby Brown plays Eleven on 'Stranger Things'. The actress reportedly earns $30,000 per episode on the hit Netflix show. 3. How much money does Emilia Clarke earn on Game of Thrones? Emilia Clarke plays Daenerys Targaryen on 'Game of Thrones'. She currently takes home $500,000 per episode. 4. What is Cole Sprouse's salary on Riverdale? Cole Sprouse plays Jughead Jones on 'Riverdale'. It's unclear how much he earns on the show, though multiple sources have reported his net worth as $8 million. On Suite Life of Zack and Cody, Cole and his brother reportedly earned $20,000 each per episode. 5. How much does Finn Wolfhard get paid per episode on Stranger Things? Finn Wolfhard plays Mike Wheeler on 'Stranger Things'. For his work on the show, he reportedly takes home $30,000 per episode. 6. How much does KJ Apa get paid per episode on Riverdale? 'Riverdale' is KJ Apa's first big role. He plays Archie Andrews on the show and reportedly earns $200,000 per season. 7. How much money does Kristen Bell get for The Good Place? Kristen Bell plays Eleanor on 'The Good Place'. For this role, she reportedly makes $125,000 per episode. 8. How much does Kylie Jenner make on Keeping up With The Kardashians? Kylie Jenner has appeared on Keeping Up With The Kardashians since 2010. While her main source of income is no longer KUWTK, she reportedly banks $500,000 per episode. This may have changed since momager Kris negotiated $100 million for five more years of the show. 10. How much does Lili Reinhart make on Riverdale? Lili Reinhart plays girl-next-door, Betty Cooper, on 'Riverdale'. The CW star reportedly makes $200,000 per season. 12. How much money does Gaten Matarazzo earn for Stranger Things? Gaten Matarazzo plays Dustin Henderson on 'Stranger Things'. He earns $30,000 per episode for the role. 13. How much does Ellen Pompeo earn on Grey's Anatomy? Ellen Pompeo has played Meredith Grey on 'Grey's Anatomy' since 2005. She currently makes $575,000 per episode for the role, but also receives producing compensation. This brings her annual Grey's earnings to an impressive $20 million a year. 14. How much money did Meghan Markle earn on Suits? Meghan Markle is off to bigger and better things but, when she was on 'Suits', she was reportedly taking home $50,000 per episode as Rachel Zane. 16. How much money does Caleb Mclaughlin on Stranger Things? Caleb Mclaughlin plays Lucas Sinclair on Netflix's 'Stranger Things'. He takes home $30,000 per episode for the role. 17. How much does Gina Rodriguez make on Jane The Virgin? Gina Rodriguez has played Jane Villanueva on 'Jane The Virgin' since 2014. She reportedly takes home $60,000 per episode for this role. 18. How much money does Titus Burgess make on Unbreakable Kimmy Schmidt? Titus Burgess plays 'Unbreakable Kimmy Schmidt's' funniest character, Titus Andromedon. For his work on the show, he reportedly takes home $90,000 per episode. 21. How much money does Jim Parson's earn on Big Bang Theory? Jim Parsons plays Sheldon Cooper on 'The Big Bang Theory'. He, like his BBT co-stars, takes home $900,000 per episode. 22. How much money does Ellen DeGeneres make? According to Forbes, Ellen DeGeneres earns $77 million a year for her talk show hosting duties. 23. How much money does Joel Kinnaman make on Altered Carbon? Joel Kinnaman plays Takeshi Kovacs on Netflix's 'Altered Carbon'. He took home $350,000 per episode for the futuristic drama.